Advigreen Kale powder contains high levels of Vitamins K. Vitamin K is essential for blood clotting and is also associated with bone health. Advigreen Kale powder is very high in antioxidants, including Vitamin C, Vitamin A (beta carotene) as well as flavonoids and polyphenols. These nutritional powerhouses help to maintain the health of bodily tissues, including hair and skin as well as fighting against oxidative damage caused by free radicals in the body. 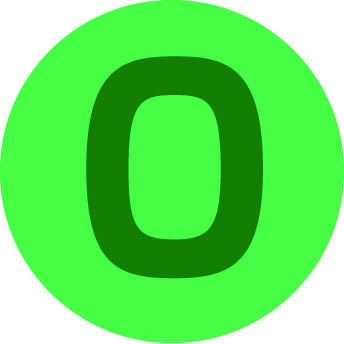 High levels of chlorophyll, a green pigment found in certain plants, present in kale also fight the effects of free radicals and has been shown to protect against a number of diseases including cancer. Advigreen Kale powder contains essential minerals that due to diet and lifestyle choices much of the population is deficient in. These include calcium, copper, magnesium, phosphorus and potassium. Kale being a low oxalate vegetable means that these minerals are easily absorbed by the body. Good fats are also present in kale in the form of ALA (alpha-linolenic acid) an essential omega-3 fatty acid which are beneficial in many ways including healthy brain and cardiovascular function. These fats further add to the health and anti-inflammatory qualities of Advigreen kale powder. 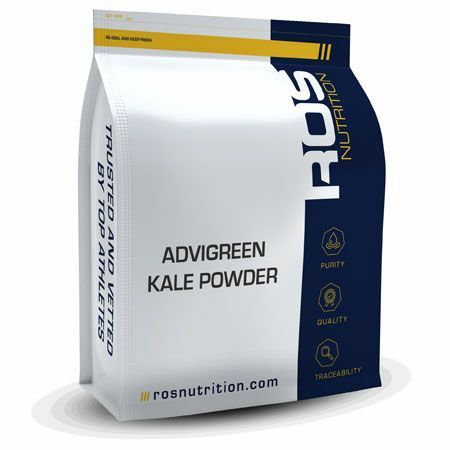 Advigreen®Kale Powder is a registered trademark of ROS Nutrition Group Limited. Add 5 grams (1 leveled scoop) of Advigreen® Kale Powder to 200 ml - 300 ml of water, juice OR beverage of your choice, shake and consume as a nutritious drink. Consume 1 to 2 servings per day.